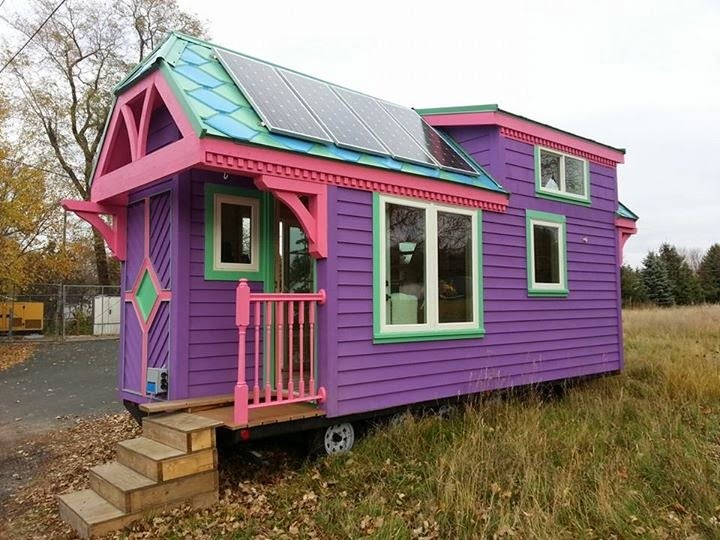 This adorable home that has been named, “Ravenlore”, was featured on HGTV’s “House Hunters: Tiny Houses”. The exterior was painted bold colors of purple, pink and teal. Yet the inside home decor includes much subtler tones. The living room, which the owners have dubbed, “The Great Room”, has just enough space for a small couch and a few chairs. The adjacent kitchen has a stainless steel countertop, washing machine and range. The lofted bedroom has enough space for two people to sit comfortably. There’s even a small stand-up shower. The woodstove keeps everyone cozy in the winter. Sounds like the perfect setting to snuggle up with a good book of poems. Edgar Allen Poe, anyone? Not just the roosters and chickens enjoy minimalist living. This house comes with a large backyard—with enough space to hold a garden and some feathery friends. The house itself has two floors for living space and a lofted bedroom. The sizeable porch is fantastic for outdoor projects or entertaining. Another porch sits behind the house with a picnic table for dining alfresco in nice weather. A small wood burning stove can be lit on chilly days. Both the aluminum roof and siding keep the house insulated all year round. Abe Lincoln would have been jealous of this cabin. Made with wood—especially natural tree trunks, this home was made to embrace nature. The double doors open out onto a large porch and expand the living room out into nature. There’s just enough room inside for a good-sized living room, bedroom and kitchen. The woodstove will keep you warm all winter long. The porch is covered with an all-natural muslin that will protect you and your guests from the rays of the sun or a gentle rainy mist. 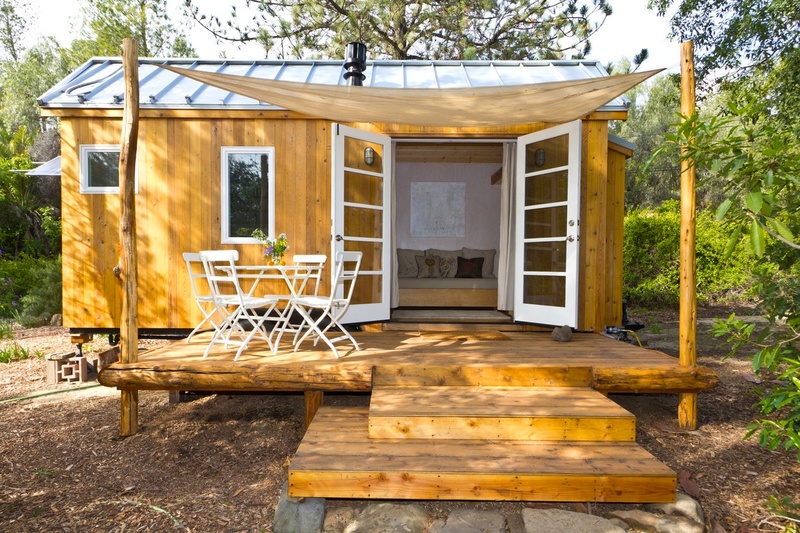 Though natural wood is often utilized in the building of tiny houses, it’s not the only material. Aluminum and other metals are also fantastic materials. Another treehouse-style home (though technically not attached to a tree), this one utilizes surrounding nature for inspiration. To get here, you’ll have to jump across stones on a lily pond and climb a steep set of stairs. The interior is made of natural wood. The light color makes the space appear larger. 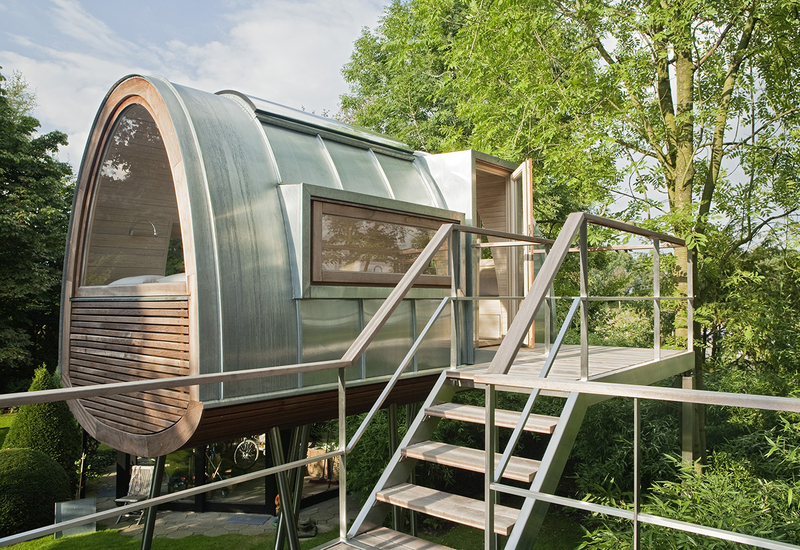 Drawing on the imagery of Airstream trailers, this house is not only a clear shot into the future; it’s also a blast from the past. Reminiscent of both a Swiss chalet and a caravan carriage, this home is perfect for the bohemian vagabond. The shingled roof and walls offer plenty of protection from the rain and snow. Small steps lead to an arched doorway and can be removed for travel. A few strategically placed small windows offer a little light and plenty of fresh air. 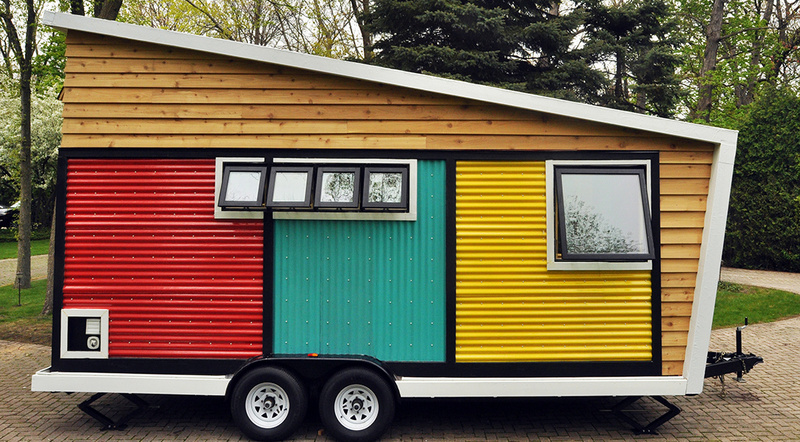 Tiny houses on wheels can be transported via the flatbed hitch on a truck. 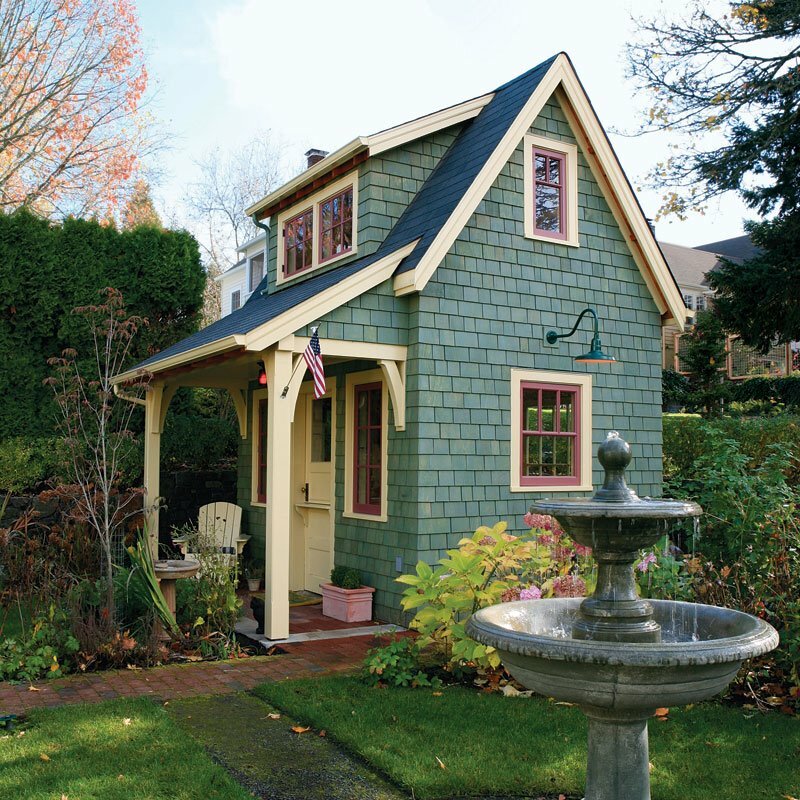 Who says small homes should have boring exteriors? On the contrary! 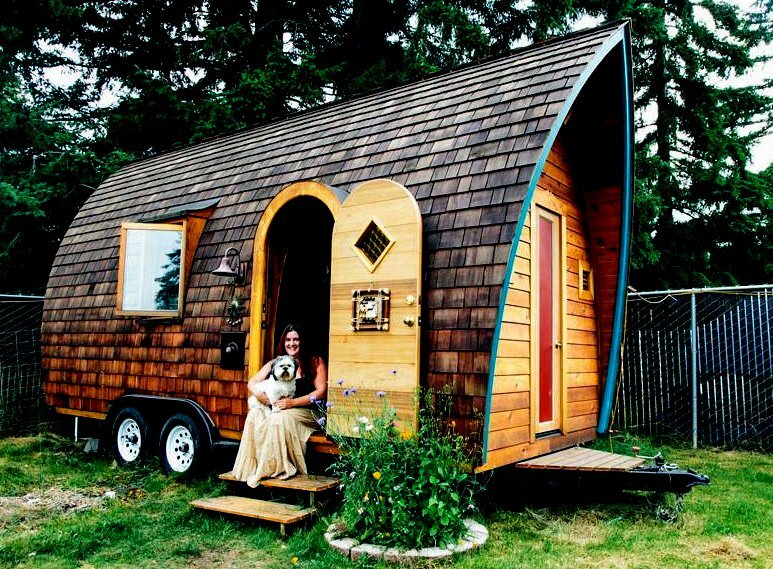 Most small homes are just like their owners—a little unique. This home has plenty of fun with color. Although the outside appears small, the interior is light and airy. The living area has a small dining table with comfy stools. There are also plenty of built-in shelves for books and tchotchkes. The kitchen has a sink, oven, refrigerator and freezer. The lofted bedroom even has enough space for a double bed. 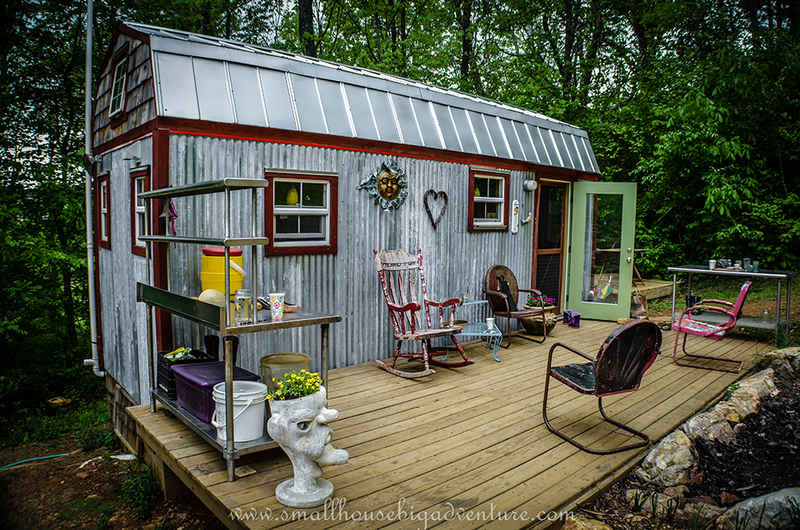 Small houses don’t need to provide all the comforts of an entire home. In fact, they can simply provide the benefits of one room. This house is just a living room and porch. 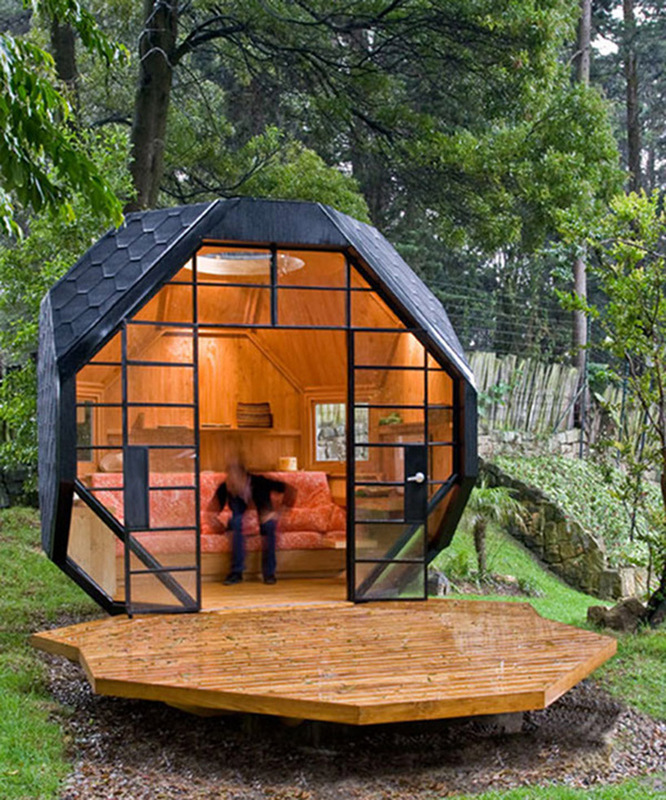 Located in Bogota, it provides an outdoor feel while still protecting its occupants from the elements. The natural wood interior gives the room a larger feel. The large patio offers plenty of space to sit and relax in the summer. The large windows offer tons of natural light. Since Oregon is one of the most environmentally friendly states in America, it’s no surprise its residents have jumped onto the tiny bandwagon. 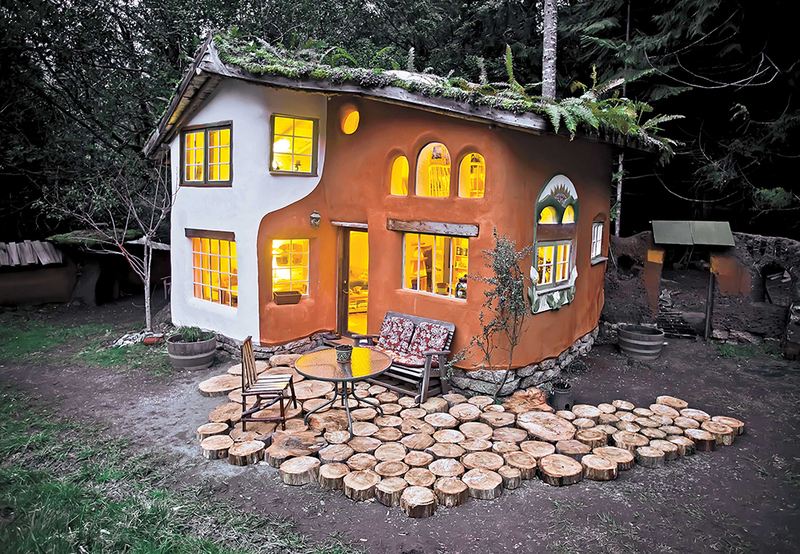 This house has a whimsical exterior. No detail was forgotten in the building of this home. The porch was even made of leftover tree stumps and lumber. Since Oregon is a lumber state, this feature is also an homage to its home. Inside, there is a living room, two bedrooms and a kitchen. This house has all the Americana charm of one of its larger brothers or sisters. Yet this one has all of the fun—without the square footage. Inside steep eaves, sits a small lofted bedroom. Eaves are also great places for extra storage and shelving. The front porch is covered and perfect for sitting and quietly contemplating life on a rainy day. The large windows let in plenty of natural light. The half-door offers plenty of country charm. The inside is monochromatic to make the space look larger. Clean, crisp lines keep the interior neat and tidy—not cramped nor crowded. The kitchen even has a double sink and stainless steel refrigerator.